Do My Poems Cry with Me? Dipika Mukherjee reports on the first-ever Migrant Workers Poetry Competition in Singapore, at which construction-site laborers read their poems in November. Rarely is poetry, with its messy angst, evoked in the same breath as the Asian megacity Singapore. Singapore brings to mind an efficient nanny state, the bustling financial center of Asia, or an air-conditioned, sanitized nation, but rarely unfettered creativity. On November 16, 2014, however, poetry advocates in Singapore managed to brilliantly showcase the pulsing heart of the people most invisible in Singaporean society: the foreign migrant worker. 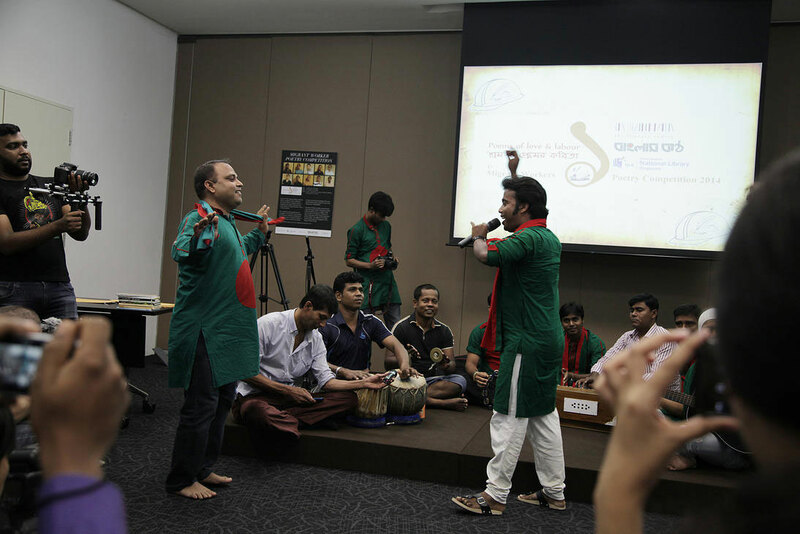 The first-ever Migrant Workers Poetry Competition, organized by Banglar Kantha and Dibashram, was held at the National Library of Singapore. 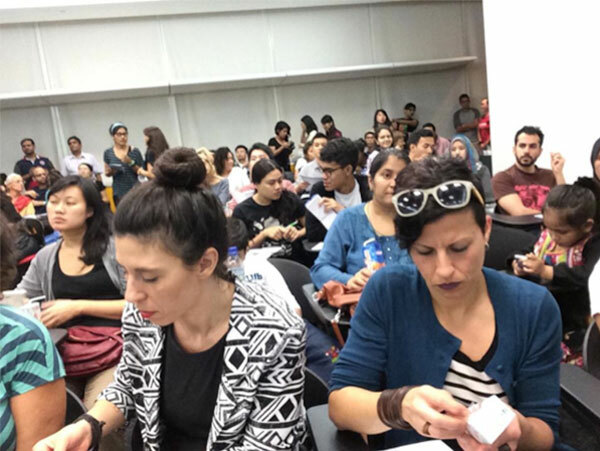 In the spirit of Transient Workers Count Too (TWC2), about a hundred guests crammed into the lecture hall-style classroom on the fifth floor of the National Library to listen to the poetic words of migrant workers whose day jobs involve long hours at construction sites. As migrant-worker advocate Debbie Fordyce said in her introductory speech, Singaporeans often do not see these men beyond their tasks. The memories of you and me hang like posters . . . He ends with the lines “Do I really write poems / Or do my poems cry with me?” This poem, inspired by a goodbye scene with his wife when he left for Singapore, speaks volumes about the loneliness of these men, who are able to see their loved ones once a year only if they are lucky; most wait years to go home, preferring to save their money instead. Organizer Shivaji Das, a volunteer with TWC2, is already busy organizing more poetry competitions featuring migrant workers. The next one is being planned in neighboring Malaysia, and another one later, in Korea. There are also plans of eventually publishing an anthology of poems from such contests. Das describes receiving handwritten entries, some scribbled on any loose paper available to the workers, as these men have no leisure time to write and often compose poems while travelling to their worksite and back on company-provided transport. They are free only on Sunday evenings, which they use to socialize; some have access to email and Facebook, but others don’t have spare money for mobile phone credits. The first-place winner of the poetry competition received a cash prize of S$200 ($160), the runner-up S$100, while third place was awarded S$50. The poems were written in Bengali and Tamil and other languages of the Indian subcontinent. Jibon, who placed second in the competition, was born in Bangladesh and works in a shipyard; Rengarajan, from India, works in construction. The volunteer translators involved in the project included Gopika Jadeja, Debabrata Basu, Shivaji Das, and Souradip Bhattacharya, Krishna Udayshankar, Shobhana Udayshankar, and Vinod Krishnan. The construction workers—since that is what they mostly are—are confident in delivery, some dramatic, some song-like, some gesticulating, some very still. Some of them have published back home. Some are primarily political. There is a poem celebrating May Day that distances itself from both the political left and the right. Several speak stirringly about the workers and heavy duty labor. About missing home. About world peace. The best of them do more. They have idea, images, a sense of place and of complex emotions. Some are particularly moving, but all are moving. Here they are, for the very first time in public, recognized for the creative human personalities they are, not just lost figures in the distance. This would be a wonderful initiative in any country, but especially timely in Singapore, as riots had erupted on the streets of Little India in December 2013, sparked by the death of a thirty-three-year-old man knocked down by a private bus. About four hundred foreign workers had then taken to the streets, hurling railings at police and torching police cars and an ambulance. Such street violence in a country so controlled had met with a strong backlash, both by the Singaporean authorities and Singaporean citizens. In multicultural and multilingual Singapore, where street signs frequently appear in four languages (English, Mandarin Chinese, Malay, and Tamil), migrant populations and their space in a larger Singaporean identity has long been a cause for contentious scrutiny. So much of pain in their poems! Some workers with diplomas are here digging and drilling under all weathers and treated like “animals” sometimes. I hear the expletives spewed in Hokkien at this group of people, especially when they are new to Singapore. Many a time I walked away (no more henceforth) because I couldn’t take it. But on the night of the competition, the poets took center stage, closing the door on the drudgery of their daily lives. While the judges deliberated over the winners, there was music and dance and the audience clapped and danced along, everyone united in the same music and rhythm. There were drums, guitar, and a harmonium, merging with the voices of the singers. One of the poets had written the words to one of the songs, and he was the first to dance. The mood was festive, unfettered. 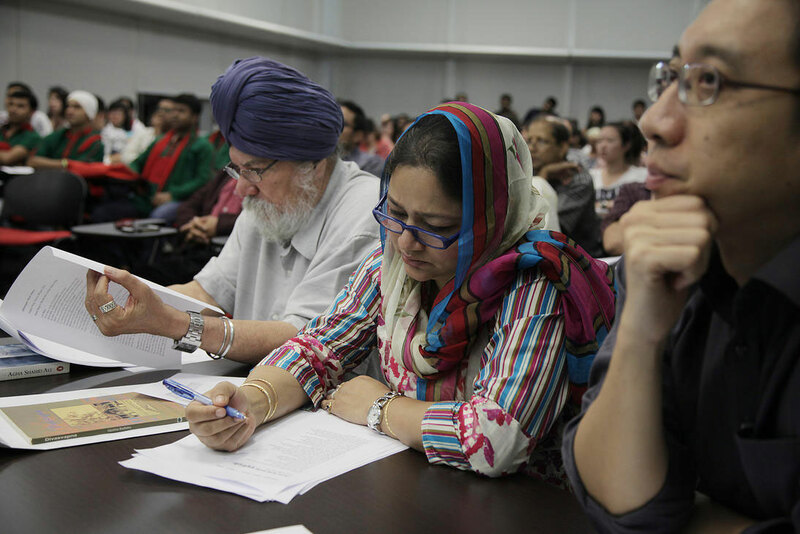 Judge Kirpal Singh, a Singaporean poet and academic, delighted the contestants by referring to the works of Rabindranath Tagore, the first non-European to win the Nobel Prize in Literature in 1913; Tagore’s work, too, was written in Bengali. Migrant workers in too many parts of the world lead hard lives and are frequently treated as both faceless and voiceless automatons. In September 2014 the world was shocked by the story of a twenty-four-year-old migrant worker in the southern Chinese city of Shenzhen, Xu Lizhi, who jumped out of the window of a residential dormitory and committed suicide. Walking down the path of prose that excites my soul. Dipika Mukherjee’s work, focusing on the politics of modern Asian societies, includes the novels Shambala Junction (which won the UK Virginia Prize for Fiction), and Ode to Broken Things (longlisted for the Man Asia Literary Prize asThunder Demons). 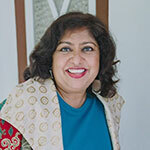 She has been mentoring Southeast Asian writers for over two decades and has edited five anthologies of Southeast Asian fiction. She is Core Faculty at Story Studio Chicago and is currently a Sacatar Foundation Fellow in Brazil.